This planet of ours is indeed a very beautiful place and so far the only place where life can flourish in this entire universe. The beauty and diversity of this revolving body is simply breathtaking. Earth is not just inhabited by simply humans but it houses, nurtures and flourishes an entire ecosystem which included loads of animals, plants and microbes. Earth has been the mother for all the beings on this planet for millions of years but the arrival of the super being i.e. human beings twisted the entire tale. Sadly, over the years, humans have emerged as a selfish breed that seems to misunderstand the idea of exploration. Instead, we humans have started to adopt the idea of exploitation and by all means, we are exploiting this planet and its being. This self centered act has cost the other beings on this planet, plants and animals, their health, habitat and even their lives. Looking at the huge animal kingdom, it pricks to see that their number is speedily decreasing. Over the years, around 905 species have already become extinct and the around 17000 species are on the verge of extinction i.e. they are endangered. These statistics has been published by International Union for Conservation of Nature (IUCN) in 2011 and they also stated that back in 2006, the number of extinct species was only 784. The WWF (World Wide Fund for Nature stated that the rate at which the animals are going extinct is 1000 to 10000 times faster than the natural process of extinction. One of the most prominent reasons for this rapid is obviously, loss in their habitat due to deforestation. Other reasons are the global warming, climatic change and pollution that are making it difficult for the animals to survive. Over here I want to discus about a very prominent and yet slightly ignored factor that is “Animal Hunting” or to be more precise “Animal Poaching”. It is an established fact that even though animal poaching is illegal by all means, it is still flourishing very rapidly. Thousands of animals are killed every year ruthlessly for their valuables (skin, tusks, fins etc). 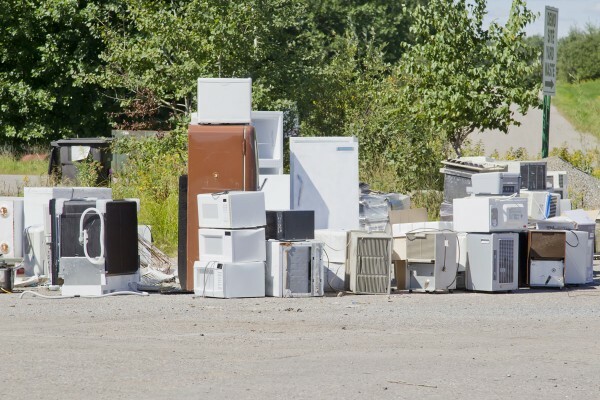 This business has an astounding turnover and fetches millions of dollars in the black market. 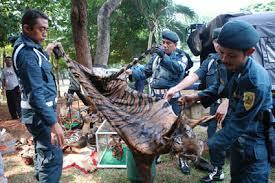 Nowadays, not just the animal parts but also the entire animal is smuggled. These animals are poached either to be kept as pets or to be used for some researches. Elephants are the largest land animals today. These humble herbivorous beasts are born with a precious element that is their ivory tusks. Every year hundreds of elephants are killed brutally so that their tusks could be procured. In 2011, the authorities seized 23 metric ton of tusks. 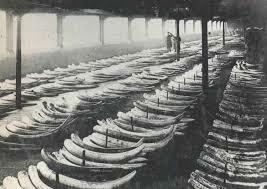 This much of ivory is equivalent to 2300 elephants. The reason for ferocious killing of this sea warrior is indeed pathetic. Sharks are notoriously famous for their human hunting image. In contradiction to this, it is the sharks that are hunted wildly by us. 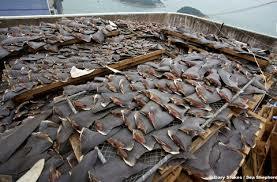 Shark fins are a very popular delicacy. One bowl of soup of shark fins costs somewhere between $200 and $300. The heart wrenching part is that hunters, catch a shark, strip it off its fins and then leave it again in the ocean. Without the fins these creatures cannot swim and they soon die. If things don’t change, this beautiful animal will soon meet its end. Tigers are one of the most endangered species in the world with less than 5000 animals left. Tigers are hunted to their beautiful skin as well as their bones. The skin is used for making coats, bags and other accessories. Such is the demand of this creature that tigers are targeted even in the protected sanctuaries. Besides these, there are rhinoceros hunted for their horns, turtles hunted as they are a popular delicacy and also smuggled for being popular as a pet. I do agree that these exterminators cannot be labeled as humans. These beings have subjected the entire humanity to humiliation. The saddest part is that there is no stopping them. In spite of the stringent laws and regulation, these people somehow find their way to the animals. There is one force that can stop these filthy criminals and that mighty force rests in your hands. These animals are hunted, smuggled etc because they have a demand. 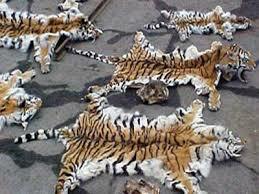 Tigers are hunted because their skin products fetch a very good price. Sharks are left to drown because their shark fin soup is in a huge demand. 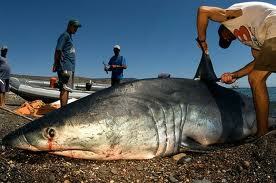 Just imagine, if people stop having shark fin soup, will there be a need to hunt sharks. 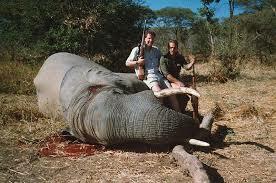 If people stop using ivory products, will hunting elephants down do these poachers any good?? Yes, the answer is simple. They kill because we buy. There is a demand that these people are taking advantage of. They are very well aware of the fact that they will be paid handsomely. As humans, we need to start these animals as living beings. It is injustice to hunt them down for the purpose of entertainment, fashion and style. There are laws and regulations, there are authorities spreading awareness and taking actions, there are individuals working tirelessly to safeguard the rights of these innocent beings. But as individuals, let’s join hands with each other and take a pledge that we will put an end to this animal poaching. The only way to achieve this is to refrain from utilizing any product that is animal derived. If you are aware that a certain person or shop sells artifacts that are made from animal skin, tusks, teeth or bones that try and find out that source of these raw materials and if illegal do bring it to the authorities. So people say no to buy and this game of animal death will eventually see an end.